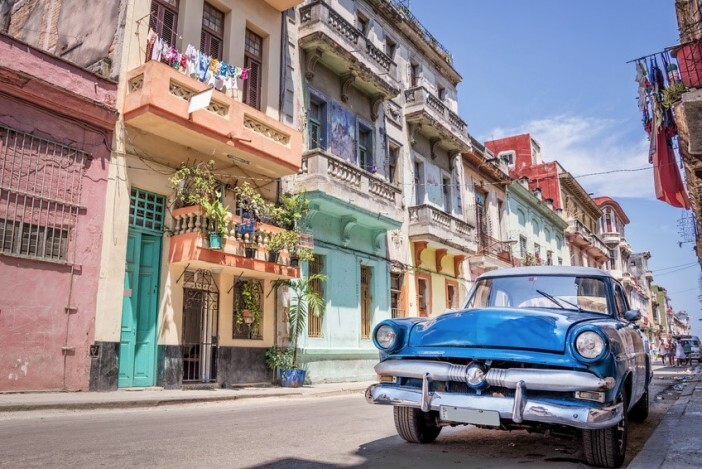 As we reported at the end of 2014, the easing political tensions between Cuba and USA has led to an increase in cruise activity arriving at the ports of the Caribbean island. The embargo between the two nations led to a bit of a stand-off, with restrictions on US ships and citizens making their way to delightful Cuba having a knock-on effect on the cruise industry as a whole. 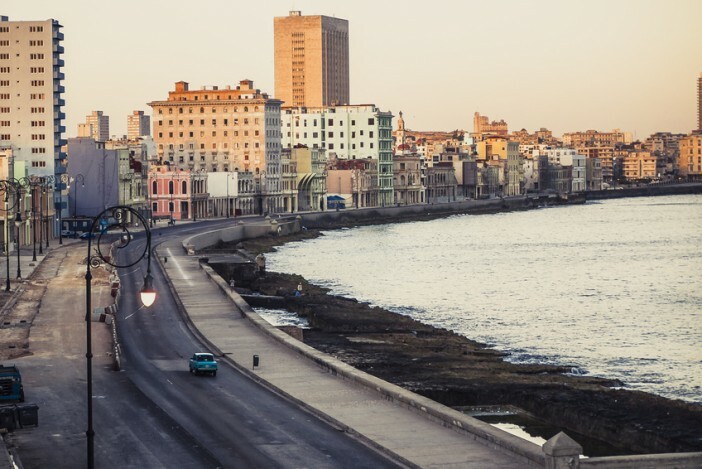 But with the Cuba embargo in the process of being lifted, more cruise lines are re-routing their itineraries to take in the capital, Havana, and the island’s wonderful coastline. Cuba is emerging as a genuine holiday destination for many people, having been off the radar for so long. And whilst this may not have done Cuba’s tourism board any good, it has ensured that the island has retained its culture and unique charm. Cuba’s capital, Havana, is an intoxicating, delightful city serving up equal parts relaxing beach holiday, cultural experience and lessons in recent history. If Cuba’s capital is calling to you, and you’ve decided to cross the Atlantic Ocean in search of an island off the menu for so many years, we’ve put together a list of the top things to do in Havana. 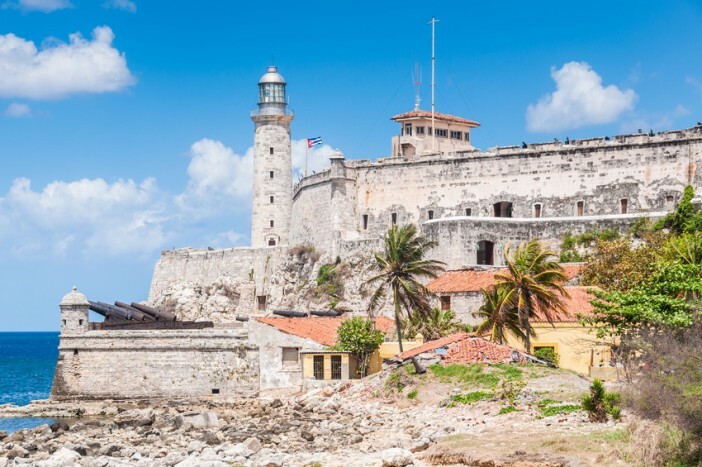 Named for the three wise men (the full Spanish name is the mouth-filling Castillo de los Tres Reyes Magos del Morro), Morro Castle is the fortress set at the entrance to Havana bay, charged with protecting the city from pirate attacks. However, the British managed to capture the fort in 1762 and invaded Cuba, before handing the island back to the Spanish under a treaty agreement. The Spanish rebuilt the fortress, as it stands today. The fortress is wonderfully well-preserved and can be explored as part of a tour to this day. Morro Castle certainly possesses a unique history: as well as repelling pirates, it has also served as a school for lighthouse keepers and remains the office of the Havana bay harbour master to this day. The iconic fortress is best witnessed from the sea, with its slate-grey walls creating an imposing impression upon approach. Over the years, Morro Castle has been routinely featured in art, film and literature, and has even been used as a fully playable level in popular PlayStation game, Driver 2. 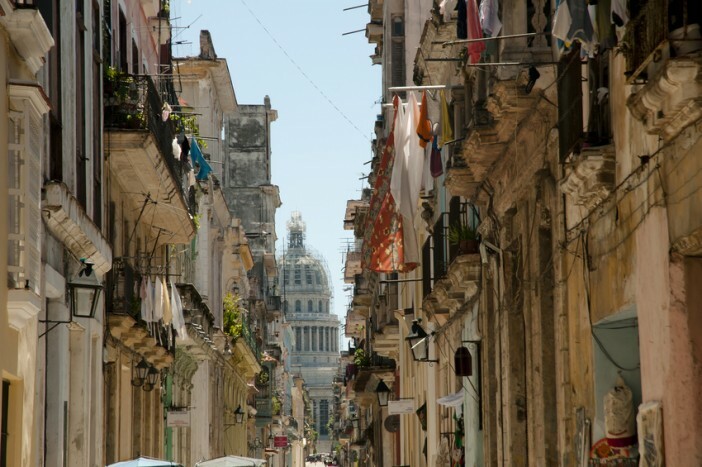 With a history dating back almost 500 years, Old Havana was unofficially founded by as a stopping point for Spanish Galleons. With ships packed with expensive items and treasures routinely calling into the city, this meant a huge amount of wealth was passing through Havana regularly. Unfortunately, this brought about some negative attention with the pirate Jacques de Sores plundering the city and burning it to the ground. In 1558, the rebuilding project started in earnest, with Spanish soldiers being shipped over to build fortifications to protect the city against further attack. Havana then became a major shipbuilding city, bringing in even more wealth. Much of this can be seen in the extravagant architecture of the plazas and streets of Old Havana. Many of the fortified walls and fortress buildings remain to this day, but the real highlights include the Capitolio Nacional (the former seat of the Cuban government), the Grand Theatre of Havana, Cathedral of Havana and the Museum of Fine Arts. A quick stroll around beautiful Old Havana will open up a wealth of jaw-dropping architecture and unmissable sights. Celebrating its centenary last year, the Gran Teatro de La Habana (Grand National Theatre) has been home to the Cuban National Ballet, International Ballet Festival of Havana and has hosted performances from some of the finest opera and flamenco artists of the Americas. The grand old building was built using donations from Galician emigrants, and even bore the name Palace of the Galician Centre for a while. It was the prima ballerina, Alicia Alonso, who initiated that the name be changed to Gran Teatro de La Habana in 1985. To honour her, the theatre reopened after extensive renovations at the start of 2016 under the name Gran Teatro de La Habana Alicia Alonso. 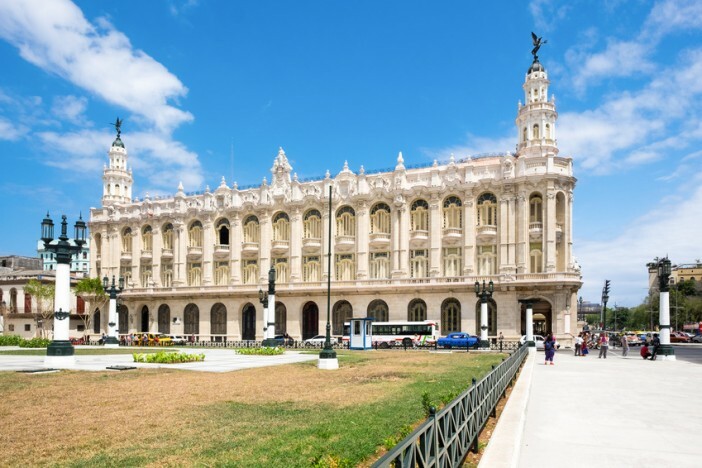 Whether you’re taking in a show or simply the architecture, Gran Teatro de La Habana Alicia Alonso is well worth a visit. It is not just Cuba’s relationship with the USA which is evolving in front of our eyes – the rights of the locals are changing for the first time in a long time. With new legal reforms in Cuba, locals are now allowed to open private businesses, and many are setting up shop in Malecón – a five-mile stretch along Havana’s coast. That is not to say Malecón is a new phenomenon, it has long been the meeting place for writers, philosophers, artists and more. Backed by a vibrant esplanade, complete with buildings of every colour under the sun, and boasting views out across the sea and over to Florida, Malecón has always drawn people in. Today’s Malecón is a unique mix of the old and new, with the ancient, celebrated buildings now home to an amazing array of shops, bars, cafes, restaurants and hotels. Granted it may be partly to do with the trade embargo between Cuba and the US, but the island’s cigars are the stuff of legend. Absolutely iconic, a Cuban cigar conjures images of Castro puffing powerfully or elderly men sharing wisdom over a drag or two in a local park. 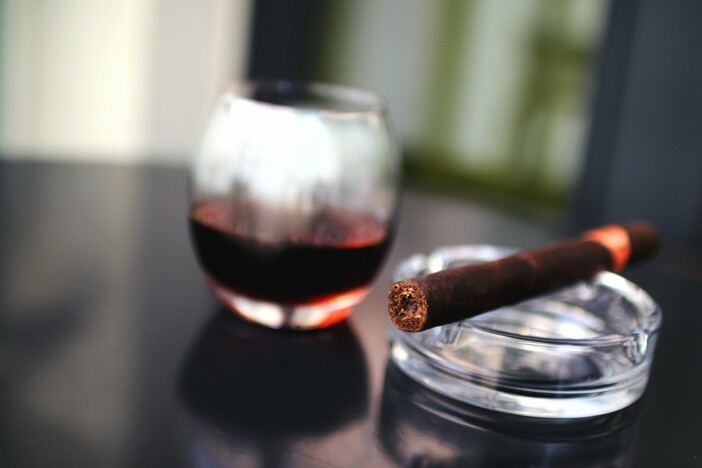 Whether, you’re a smoker or not, a trip to Havana is incomplete without visiting Partagas Cigar Factory, a living, working museum dedicated to Cuba’s most famous export. Part factory, part museum, Partagas takes you on a tour of the history of the Cuban cigar right up to the modern day, and you can even watch the cigar production line in action. Now if they only weren’t so bad for your health! Have we done enough to convince you that a cruise to Cuba is for you? A number of our fantastic Caribbean cruise deals include a call at the wonderful island. Visit our dedicated page Caribbean cruises to view a full range of packages on offer from Cruise1st, or call us today on 0808 274 6777.